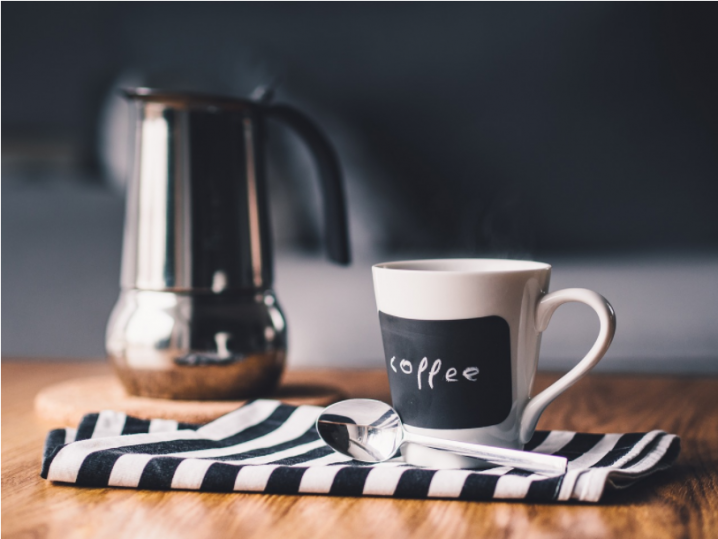 If your mornings are dedicated to savoring a cup of hot coffee before getting on with your day, or your weekend days are dedicated to drinking coffee and reading, if might be time to build a coffee station. The first challenge in choosing where to put your coffee station and your coffee maker will be all about the space you have available. If you have a small, galley kitchen, you may not have a lot of room to work with. On the other hand, if your home is open-concept and your kitchen flows into another room, it can be difficult to decide where it fits best in terms of furniture arrangement. Regardless of where you choose, your station should be close to electrical outlets or the stove, so that you aren’t running all over the place with a kettle of boiling water. After you have decided where your coffee station will go, you need to decide on a surface. In some cases, the decision will be made for you based on what space you have available. Others begin to see different pieces of furniture– such as a breakfast hutch– in a new light. Baker’s racks make a great coffee station with additional storage. You may wish to procure a small, wheeled cart that can be moved around as needed. A portable coffee station is not only fantastic for small kitchens, but a fun choice if you like to entertain guests. A small, repurposed dresser or side table are also good options that allow for additional storage. If you plan on dedicating a corner of your kitchen to your coffee addiction, you may want to add fixtures for additional, relevant storage. For example, hooks from which to hang your favorite mugs. If you are using a small table for your surface, you may choose to add separate shelving overhead for mugs, canisters, and other relevant items. If you are opting for a portable cart, you can still use fixtures for storage and appearances when the station is docked. Now that you’ve decided on the practical aspects of your at-home coffee station, it is time to tie it into the surrounding decor and add your personal flair. Decide which art you would like to incorporate into your station. Well-shot stock photos of coffee can be printed and framed for an elegant approach. Cafe-style art prints are another way to capture the sensation of being in your favorite coffee house, especially if you have a Bluetooth speaker playing smooth jazz or indie acoustic music incorporated into your station! Many individuals choose to follow the chalkboard art trend and create a coffee-themed background. Don’t forget that art goes beyond what you hang on the wall. What pieces will call your coffee station home? Perhaps your sugar and coffee grounds are stored in colorful, eye-catching canisters. The mugs you display on your coffee station may be a matching set, even though you prefer to drink from a chipped mug you acquired in college. Napkins and containers for utensils can also be personalized to suit your style. Most importantly, you will need your coffee making tools! Your coffee station may showcase your best cold press coffee maker and favorite pour over Bodum. You may choose this area to show off your traditional Turkish cezve with which you make Turkish coffee or everything you need to wow guests with your ability to make Flambé Mayan Coffee. You may also choose to keep things simple, so you can easily brew a cup of your favorite coffee in your favorite mug and curl up with a good book. You are limited only by your imagination and ultimate goal.